Get the inside line on the RockShox Signature Series, a damper update that makes a difference, and a new way to fine-tune your RockShox air shock. As spring rolls in and mountain bike race season gets underway, you've no doubt seen some Pro riders running "Ultimate" versions of RockShox products. They look flashy as can be, but what's the story? Today we're pleased to bring you the details. The RockShox "Signature Series" refers to their line of premium suspension products, including SID, Lyrik, Pike, BoXXer, Deluxe, Super Deluxe, and Reverb product families. For the forks and shocks within the Signature Series, you'll also note some naming changes for the new model year. It wasn't long ago that the Charger 2 damper came out. It was a big deal, bringing with it some notable improvements to RockShox's bladder-based design. Even so, RockShox knew they could do better. As you'll hear in the interview below, the redesign introduced some characteristics that weren't ideal. So, what did RockShox do? They got to work, doing countless data acquisition runs while changing one thing at a time to figure out where the feedback was coming from. It was a big undertaking, but it revealed some areas for improvement. Consolidating this feedback and testing resulted in Charger 2.1. Less high-speed compression - A redesigned shim stack helps limit the impact of high-speed hits and harsh braking bumps, equating to more control and less fatigue. More low-speed compression - A different needle shape allows the fork to ride higher without added harshness. This adds more control to fork movement and reduces potential diving. New piston wearband - Better oil flow management through the piston provides better damping control. In the previous version a leak path existed at the rebound piston, though it would only occur during occasional side-loading of the damper during aggressive riding. New rebound piston - It features a new rebound needle profile and flow path changes to allow for more high-speed flow but more low-speed control. New SKF rebound shaft seal - This decreases friction by 30% at the rebound shaft. Completely re-designed to reduce hand fatigue and fight unwanted friction, the new Charger 2.1 damper increases confidence and control over every trail. Select forks feature Charger RC or Charger RL dampers. 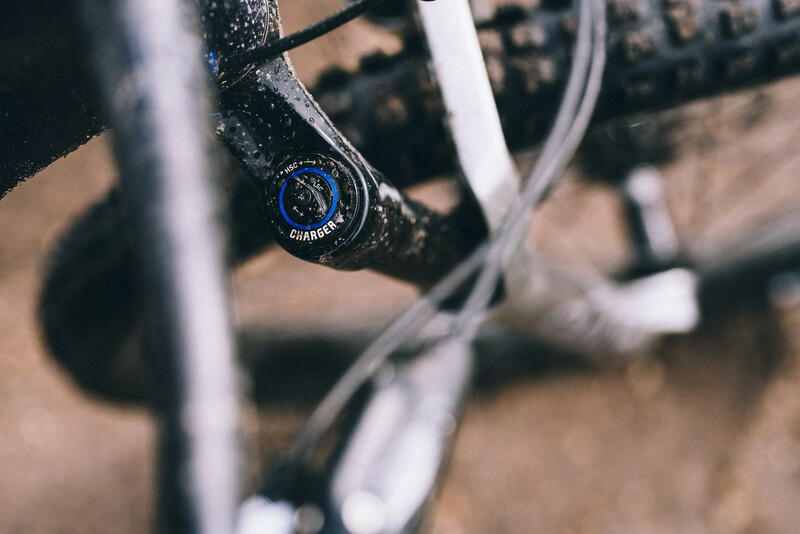 SKF and RockShox have been working together for over five years, all the while attempting to reduce running friction and reduce stick-slip while still keeping dirt out. The new SKF seals may look very similar but they have a new seal lip geometry that further reduces friction while maintaining the same level of dirt exclusion. Again, this is said to improve overall suspension feel and reduce fatigue. Though it isn't widely known, Maxima has been a RockShox oil supplier for a long time. 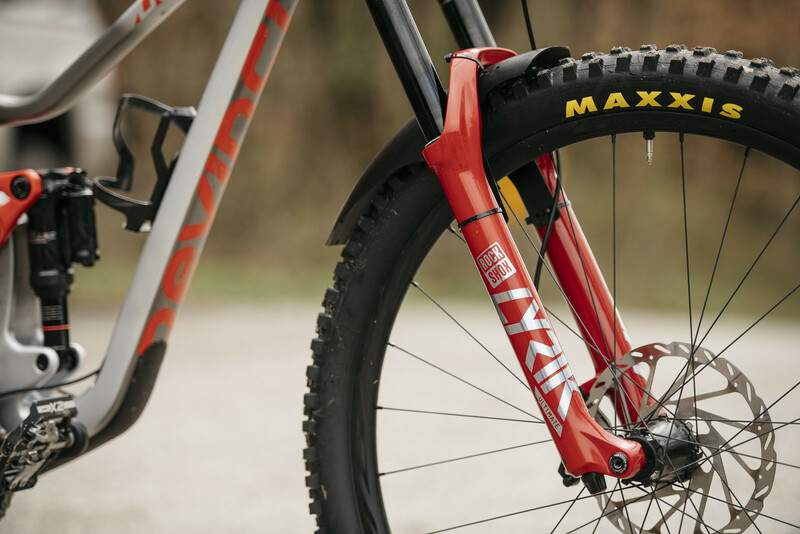 During that time Maxima developed their own suspension fluid called Plush, which was specifically made for the needs of mountain bike forks and shocks. Plush contains additives to protect from suspension wear, reduce friction, and silence damper noise while maintaining a consistent feel in all temperatures. In 2020 products it will be used in both fork cartridge dampers and shocks. Switch to RockShox Dynamic Seal Grease instead of SRAM Butter on all seals. Why? Dynamic Seal Grease has better long term friction properties over SRAM Butter. It stays slipperier for longer. Extra lubrication oil in the air spring. RockShox is adding 3cc of lower leg oil to the air spring. Graphics updates throughout, including foil decals and high-gloss black/red/blue/silver colors that pop on Ultimate series products. The SID lineup goes relatively unchanged with Charger 2 RLC and Charger 2 RL dampers but does benefit from Maxima Plush fluid. Considering the fact that the 2020 lineup uses the same chassis designs and the same tunable DebonAir springs and air shafts, is it possible to upgrade an older fork? The short answer is yes. With a damper update and lower leg service, you would be well on your way to a fork that rides similar to the 2020 version. An SKF wiper seal kit will also be available for older 35mm forks at an additional cost. Replacing the stock fluid with Maxima Plush will increase the performance of older dampers, but it is not the same as the changes made to Charger 2.1. Note that it is not designed to be used as a lower leg lube. Intended for trail bikes, this all-new shock offers low-speed compression adjustment in an inline shock. According to RockShox, this is an entirely new damper made up of five tunable pistons, representing a new level of inline shock. The shock deals with compression and rebound in a symmetric manner. The rebound/compression needle controls the oil flow in the initial shock movement — metering oil through an orifice before traveling through a shim stack. Therefore, LSC and rebound are managed more consistently than ever before. This system also stops the back-flow of oil in the compression and rebound circuits. The Deluxe Ultimate shock provides a clearly defined position for the base tune of the bike “0”. Moving to “+” adds damping and “-” takes away damping. The new adjustment range delivers a more user-friendly approach to managing compression damping on the bike and also allowing the user to easily return to factory spec or base tune. The increased compression and rebound control is particularly effective at lower shaft speeds where the damping is harder to control, such as jumps or berms. Like the forks, RockShox is now using Maxima Plush Fluid in their rear shocks as well. All other 2020 shocks retain the same damping adjustments and air volumes as 2019 models. Only Ultimate shocks will be available in the aftermarket channel. Remember Sam Hill's bulge? Developed with Dave Camp, a long time tinkerer and maker of rad things, the new MegNeg air can brings added tuning capability to RockShox Deluxe and Super Deluxe shocks. The graph below shows a stock air can (blue) and MegNeg with 0 Bottomless Rings installed in the negative chamber (red). Both are force matched at a consistent sag value. The MegNeg kit affects the entire spring curve, is closer to the straight line, mid-stroke is filled in significantly from sag onward, and the shock is going to be harder to bottom. This typically works well with bikes having more linear spring curves. Riders on very progressive bikes will find that MegNeg adds more mid-stroke support than a rider might prefer. A $90 USD MegNeg kit includes a MegNeg air can, Bottomless Rings, seals, and decals. There are three sizes of MegNeg to fit three air can sizes. This is a product Vital is really excited about as it inches closer and closer to that coil feel while maintaining the ability to make quick pressure changes and adjust bottom-out support. If you’re an aggressive rider who is willing to take the time to tune you’ll find a serious performance boost with MegNeg. Vital MTB has had limited seat time on both the 2020 Lyrik Ultimate and MegNeg air can, and our initial finding is that our Transition Patrol test bike has never ridden better. In short, the Lyrik Ultimate offers an altogether smoother ride experience. When you're light on the bike with the front wheel skimming across rocks and roots, for example, there's very little chassis movement or interruption in terms of pitching the bike forward or backward. It's also pretty telling when the fork is doing its thing during successive hits under braking. The suspension action is notably better than the previous fork in this instance with more control on tap throughout the stroke. Thanks to the damper updates, high-speed compression has been lessened dramatically. Fully out on the previous damper is roughly equivalent to two clicks in on the new fork, so it's possible to run this new damper with much less high-speed compression right off the get-go. Many riders ran the high-speed compression setting all the way open on previous forks in search of comfort, and the new damper design and needle profile address this in a big way. This will be nice for lighter riders especially as it rids the front end of occasionally jarring, rough sensations through the bars. The friction reduction has equated to more wheel on the ground time, better tracking, and the opportunity to add more damping for more control when pushing hard. Rebound control on the bike is also really nice right now. It's just land, eyes up, game on. No more hesitation as the bike quiets itself before getting to the next section. The bike now has a "you can do no wrong" kind of thing going on and it's a nice improvement all around. When asked to look back through the past 3-4 years and rank the overall package in terms of quality of ride improvement, Jon Cancellier responded: "I would say this is probably the biggest step we've made yet." In the meantime, visit www.sram.com/rockshox for complete details, including product specs, weights, and pricing. Coincidently, my Charger 1 is due for service (not sure if it's damaged or if it's easily fixable) so the question is: will the Charger 2.1 upgrade be available for the 26" Pikes like the Charger 2 was? Charger 2 was quietly introduced with the SID in 2016, then the Pike in 2017, and an RC2 version with the Lyrik in 2018. The alphabet soup names are still there, just hidden. Pike\Lyrik Ultimate can come with Charger 2.1 RC2 or RCT3. So they didn't really fix the naming, just added another level. Think he is talking about the fact that say a $75 upgrade package would mean people could upgrade from the Charger2 RC2 damper and wiper seals to the Charger2.1 RC2 damper and wiper seals. Instead of the throwaway product model SRAM currently use. Replacing the stock fluid with Maxima Plush will increase the performance of older dampers, but it is not the same as the changes made to Charger 2.1. Note that it is not designed to be used as a lower leg lube." Rockshox is simply put, the most backwards compatible suspension company in the game. Backwards compatible would have been a $75/$100 upgrade kit for the Charger 2 RC2 damper. It's only some new valving, a new rebound piston, a seal head, a compression needle and a pair of wiper seals. Instead that damper is now obsolete and you have to buy a full Charger2.1 RC2 damper. Also ask any RockShox shock owner that has suffered a damaged damper rod just how they got on getting parts for it.